Women and men from ancient age are wearing jewelry on their body. 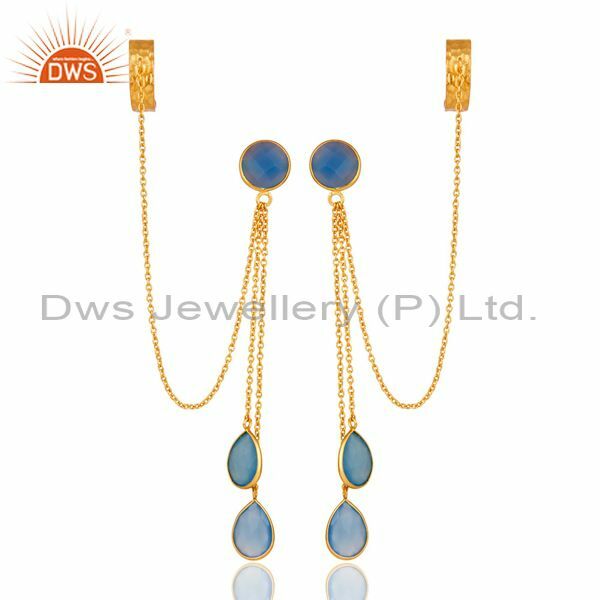 In ancient times, men use to wear earrings more than women use to but as time has changed women wear earrings more than men now. 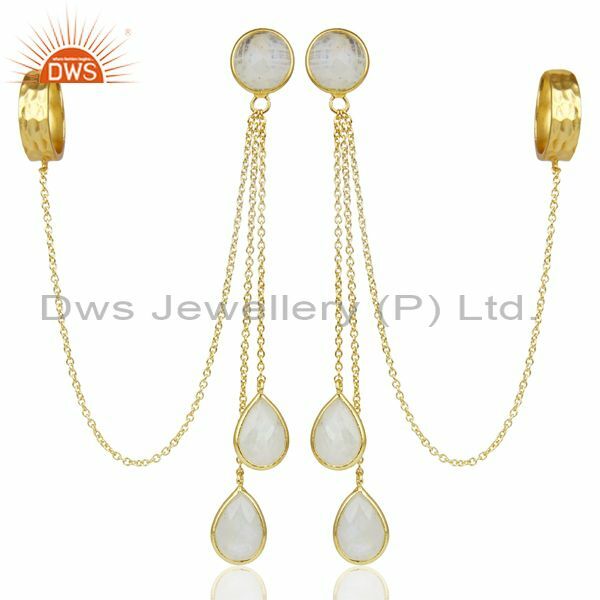 Jewelry is one of the ways to show your wealth. 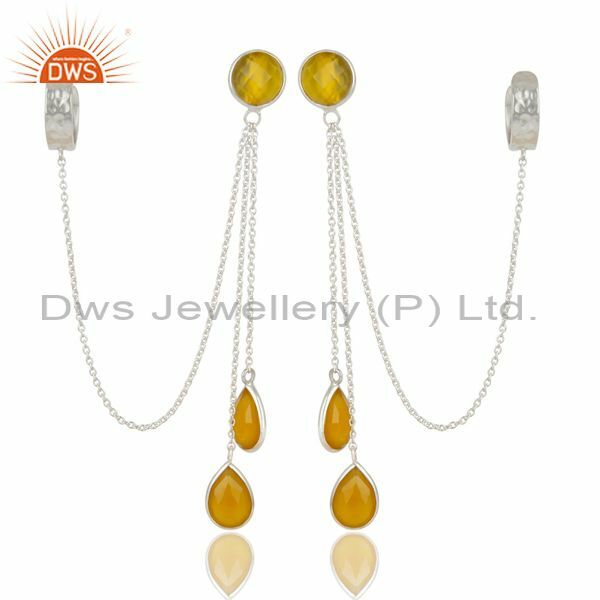 Jewelry is considered one of the things without which people can't live. 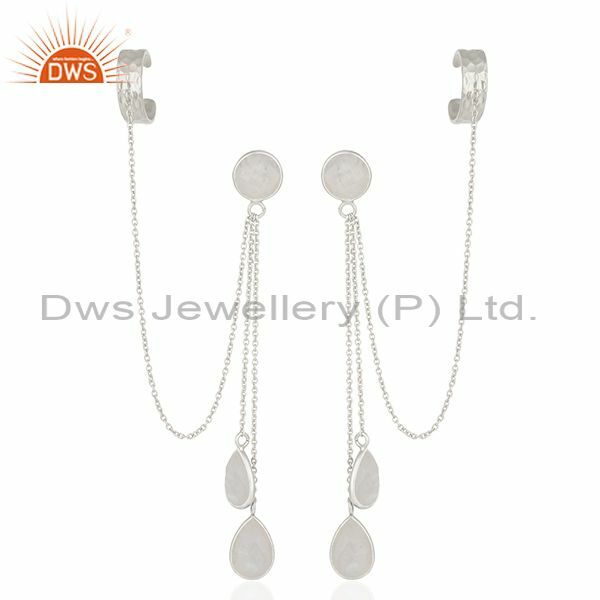 Ornaments like earrings, rings, necklace, bracelet, bangles, etc are very essential in women's life. Day by day people tastes as well as their way of wearing things are changing. 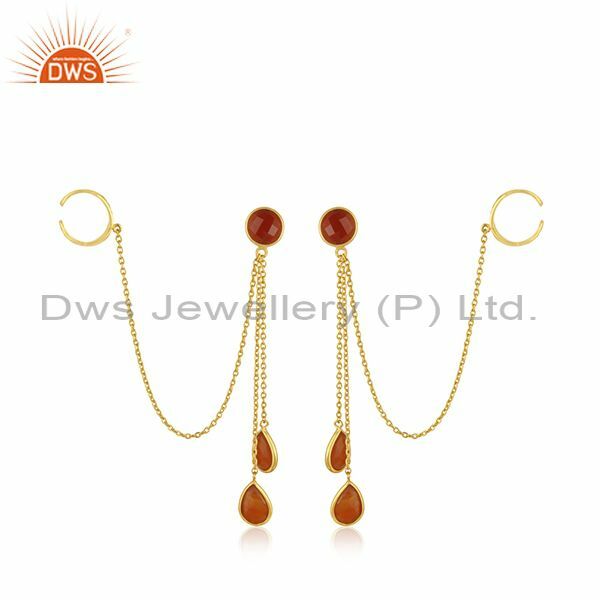 So you will find many variations in ear cuff earring jewellery too. 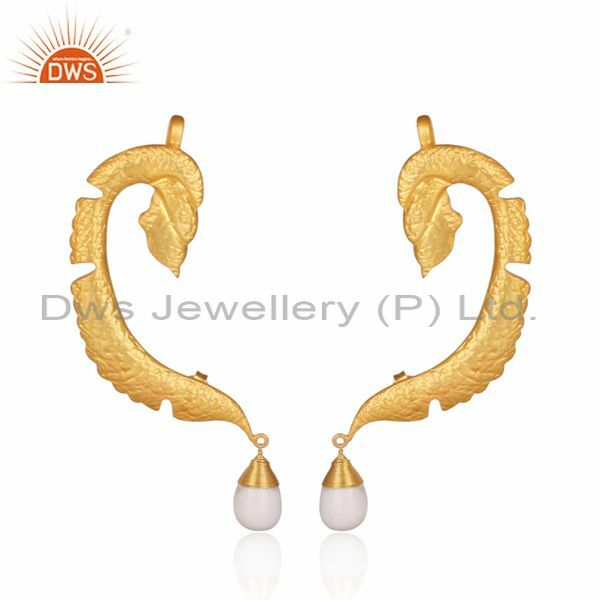 The ear cuff store in Jaipur can provide you with one of the best quality earrings as they are ear cuff earrings jewelry manufacturer. 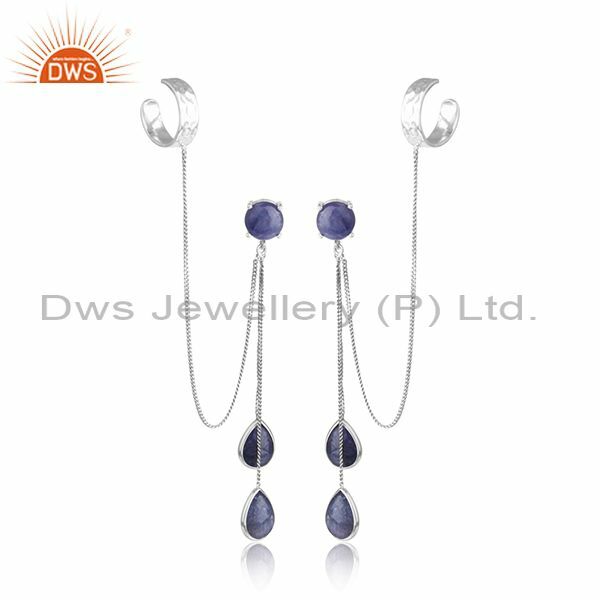 Earrings are a piece of jewelry which is attached to your ear. 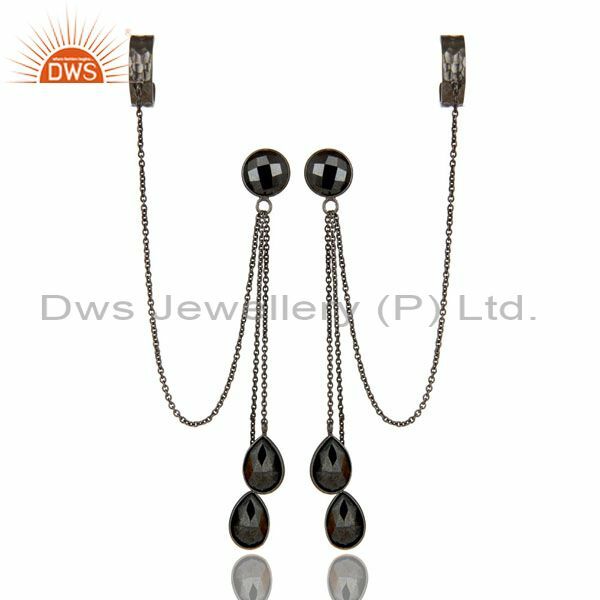 It is a fashion which is used to decorate the ears. You can wear earrings on your ears at nine different places. 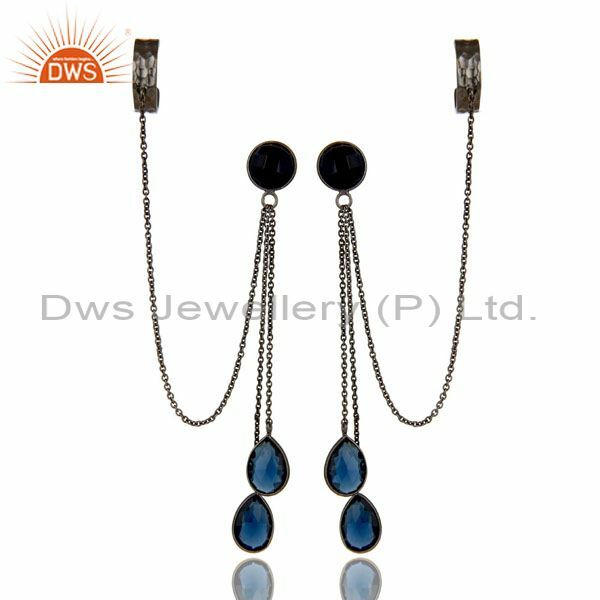 As per the tastes, there are many kinds of earrings in the market like hook earring, stud earrings, dangle earrings, etc. 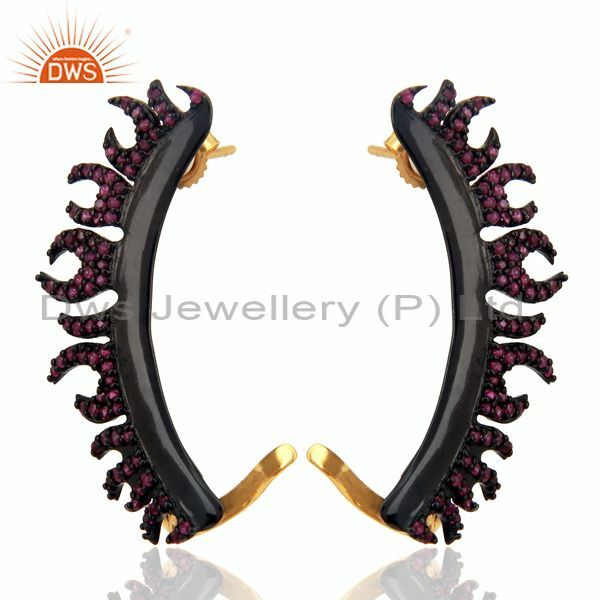 But in this article, we are just going talk about ear cuff earrings. 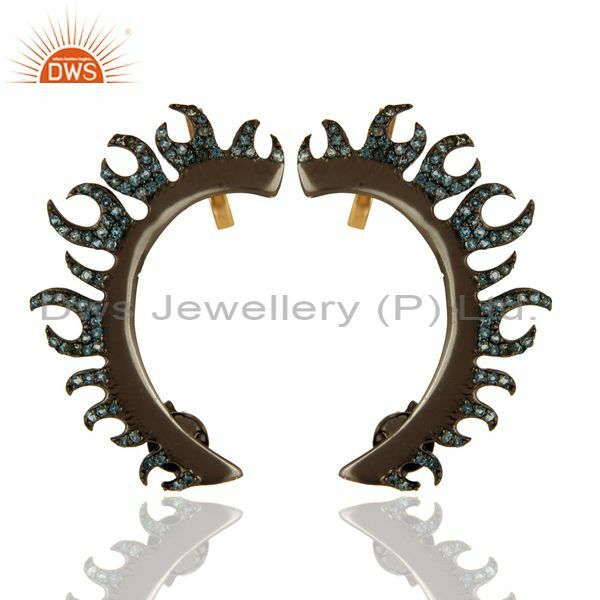 Nowadays, ear cuff earrings are in trend. 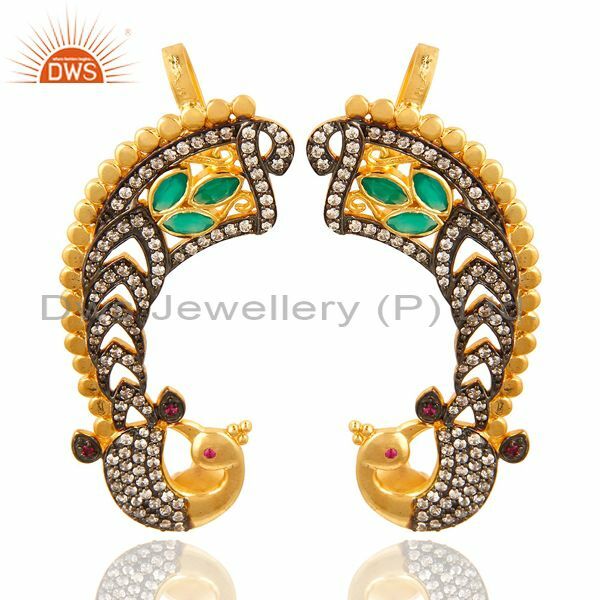 This type of earrings was worn by ancient era women too. 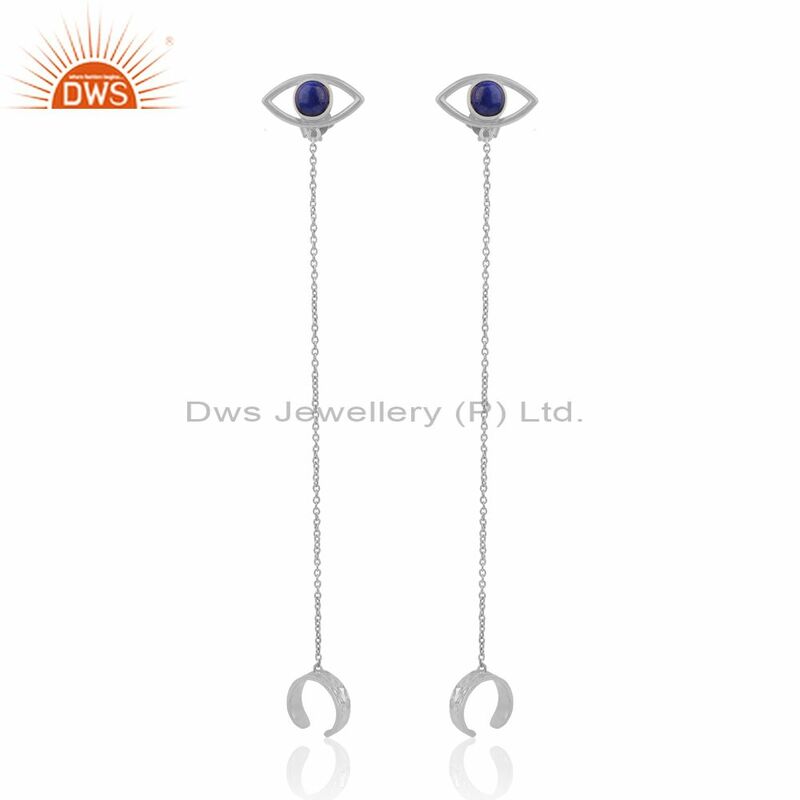 An ear cuff earring mainly goes with traditional or indo western dresses. 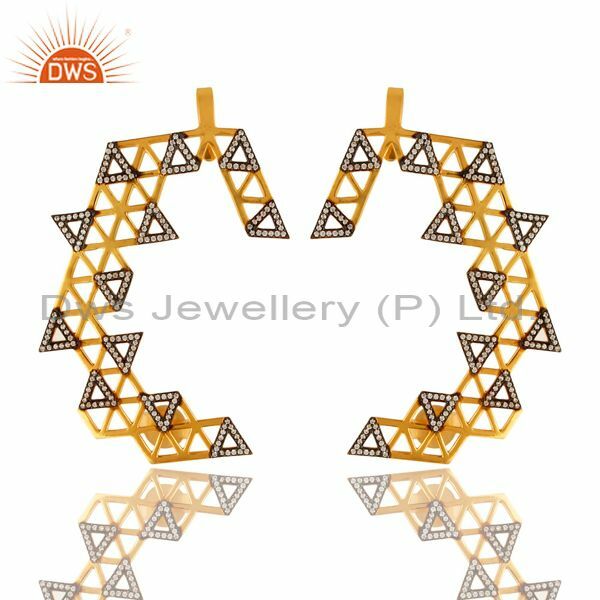 You can wear them with saree, lehenga, salwar kurta, many more. 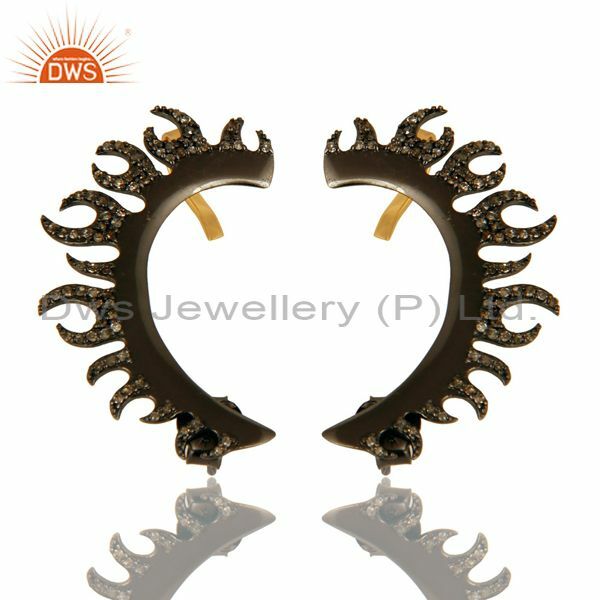 These ear cuff earrings can go with both pierced and non-pierced ear. 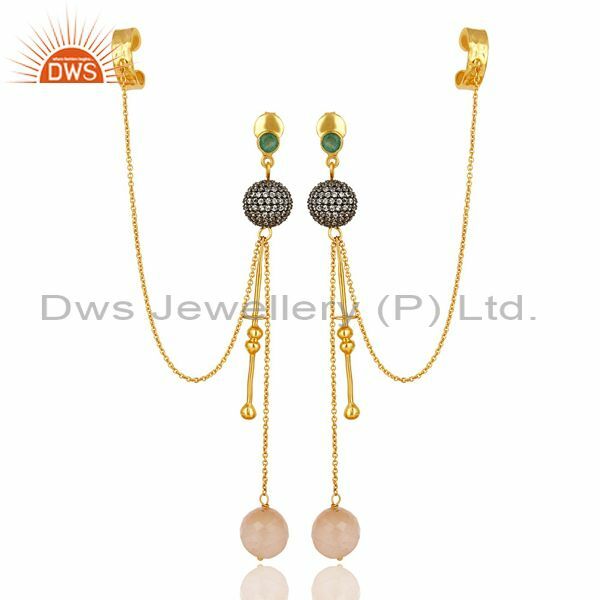 You can even get your own design whatever you want as Jaipur jewellery shop comes up with designers ear cuff earrings jewelry. 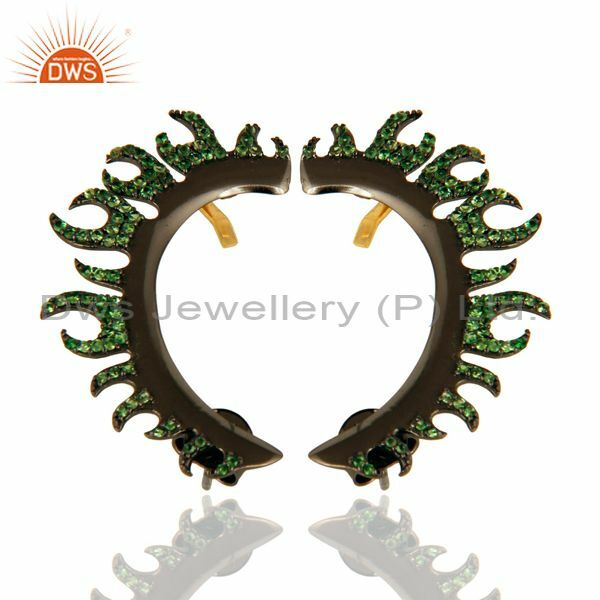 People are very confused about where to wear ear cuff earring and how to wear them. 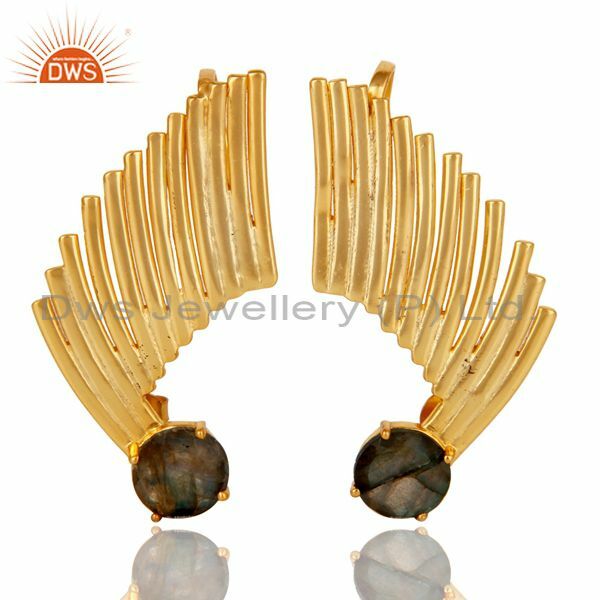 Ear cuff earring can be worn with every kind of dresses. 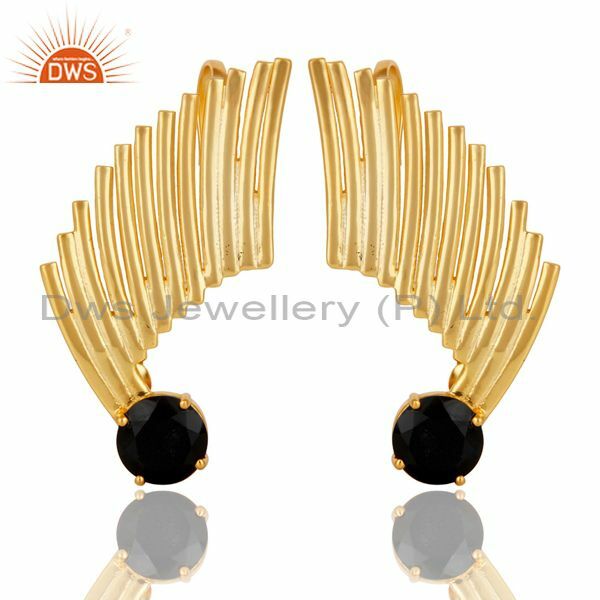 As ear cuff earring are in trend so you must know their specific use with your outfit. Ear cuff earrings are so sensitive and glamorous that’s why women automatically get attracted towards it. 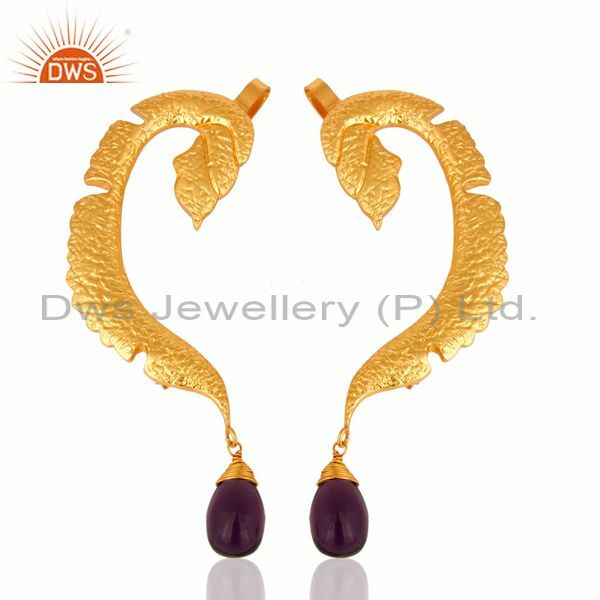 If you want varieties of cuff earring you should visit a jewelry shop in Jaipur as they are ear cuff earrings jewelry supplier. 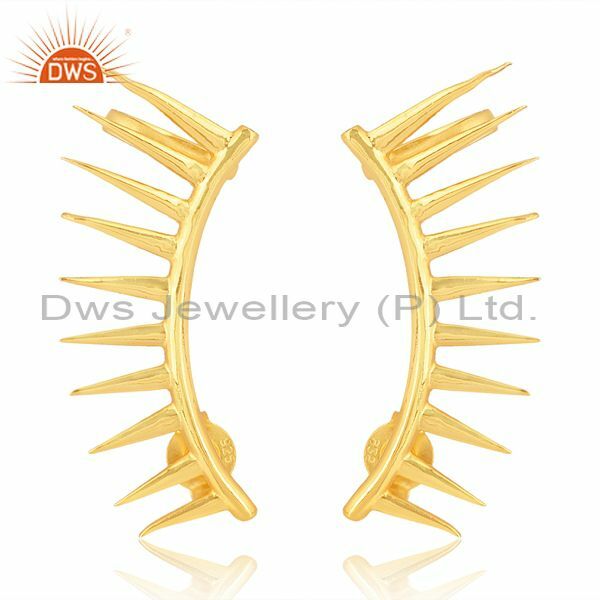 If you don’t know where to wear ear cuff earring your fashion style can become fashion disaster. Below are some of the outfits you can wear with ear cuff earring jewelry. 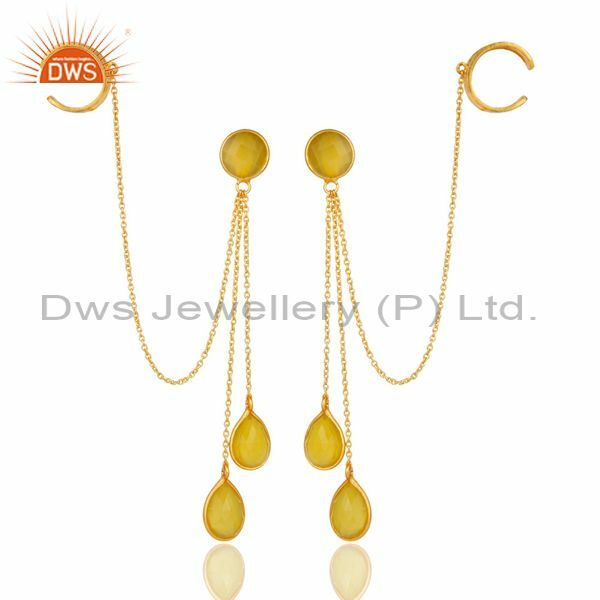 • Salwar kameez: if you have gorgeous Salwar kameez and don’t know how to pair them with your outfit, buy a stunning ear cuff earring matching to your salwar kameez. 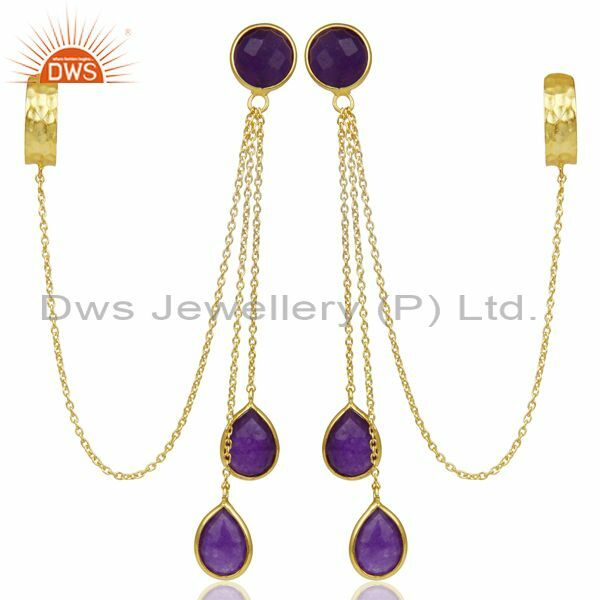 It will give you a perfect traditional look that you want to get on every function. Always keep in mind the occasion you are going to attend. You can’t wear a gorgeous outfit in sports ground. 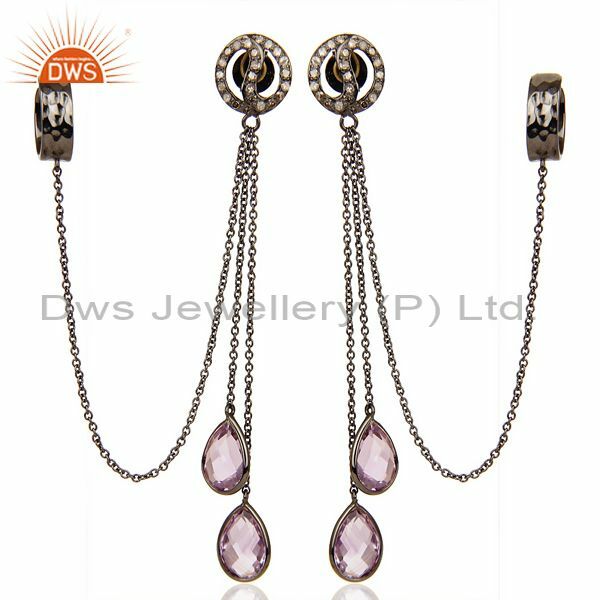 With this beautiful ear cuff earring jewelry you will look stunning and glamorous in any party. Some women love many piercing on their ears. 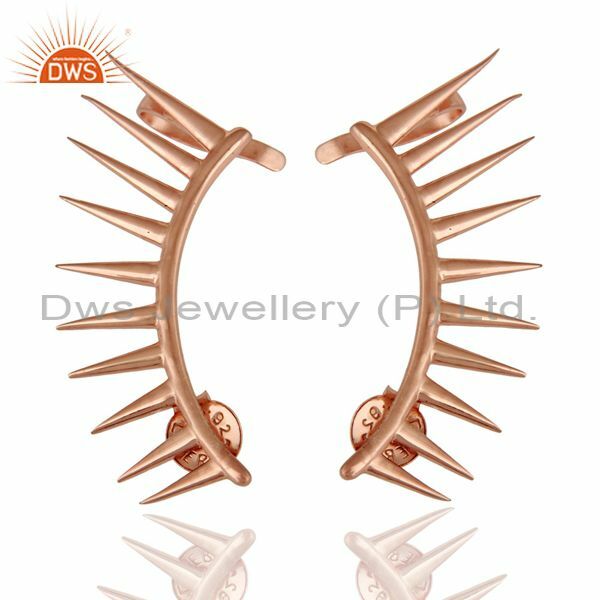 Ladies no need to worry as this ear cuff earring can do wonders on your ears and can give an illusion of having many piercing. 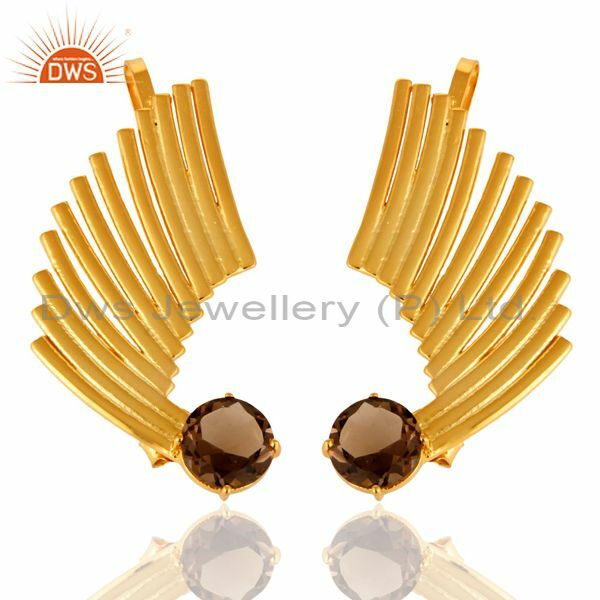 If you want attractive ear cuff earring at a reasonable price then you should visit this ear cuff shop as they are renowned ear cuff earrings jewelry wholesaler. • Lehenga: as we know lehenga outfit is so beautiful and glamorous, it’s very hard to choose what ornament to wear with Lehengas like beautiful neck piece, bangles and a beautiful ear cuff earring. 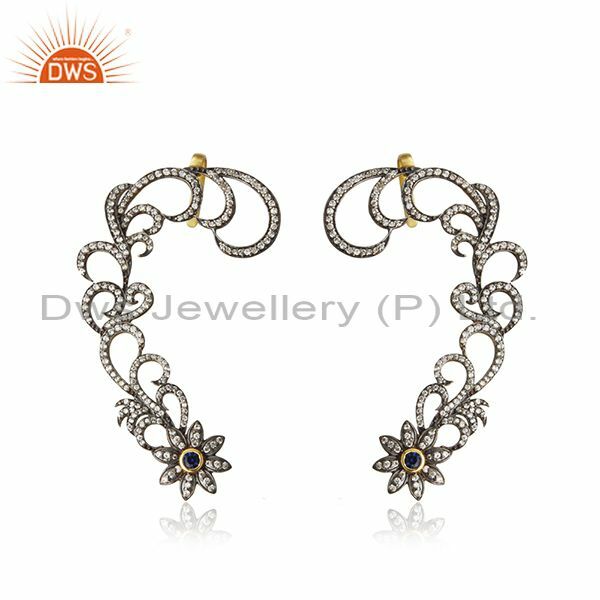 If you have an upcoming function like someone’s wedding or some party to attend then ear cuff earring will do wonders. 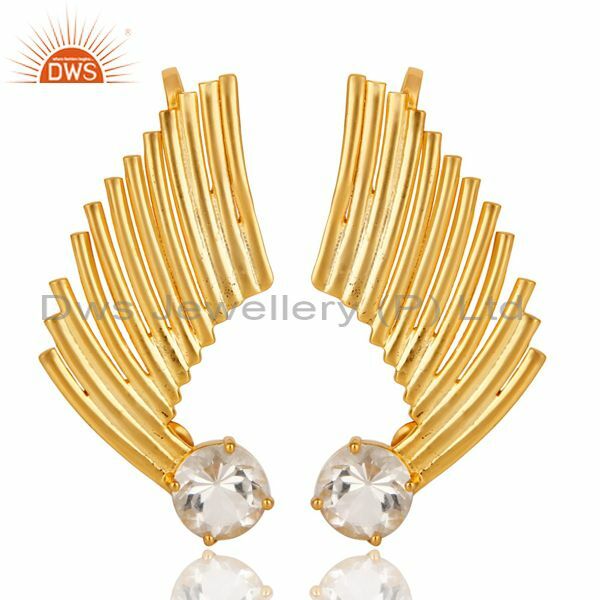 Ear cuff earrings are attractive and beautiful looking earring and you will get varieties of ear cuff earring in the market and can wear them on any parties. 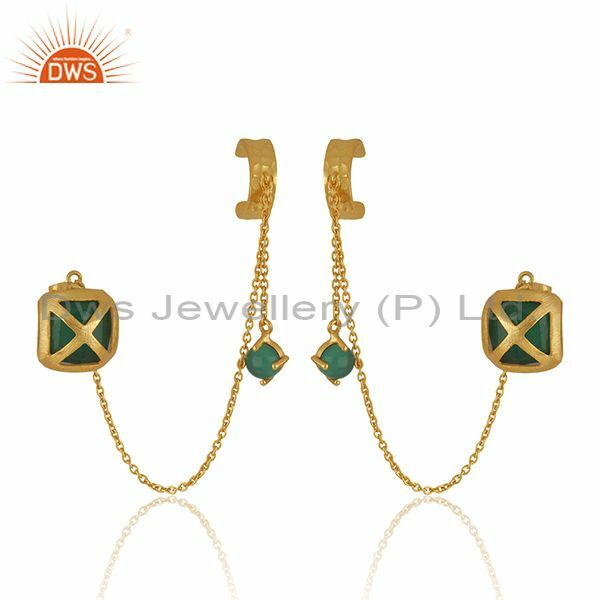 For lehenga try to select your matching earring from range of heavy ear cuff earring. 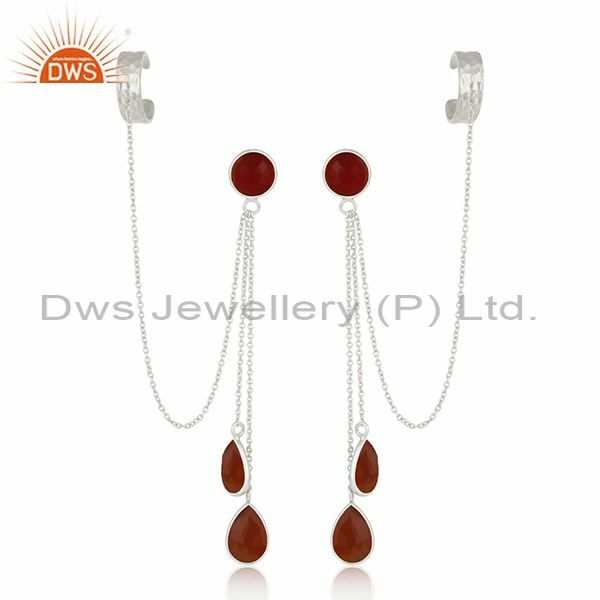 You will get all the design in various colors. 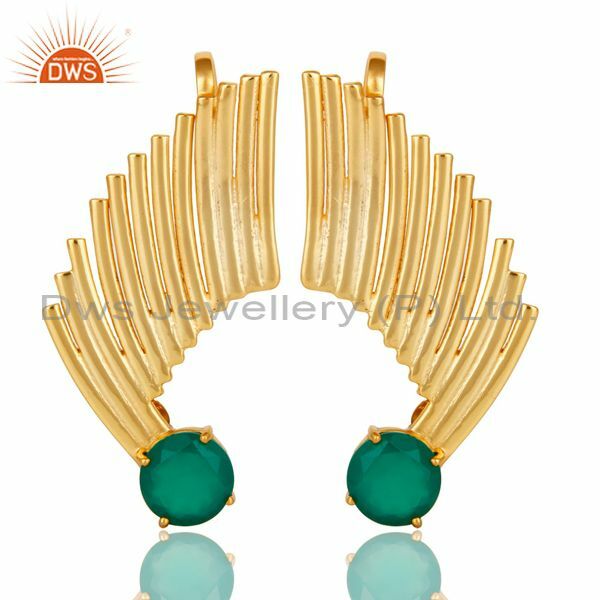 Golden ear cuff earring will look amazing with every color lehenga. As we know women love gold and other expensive metals. 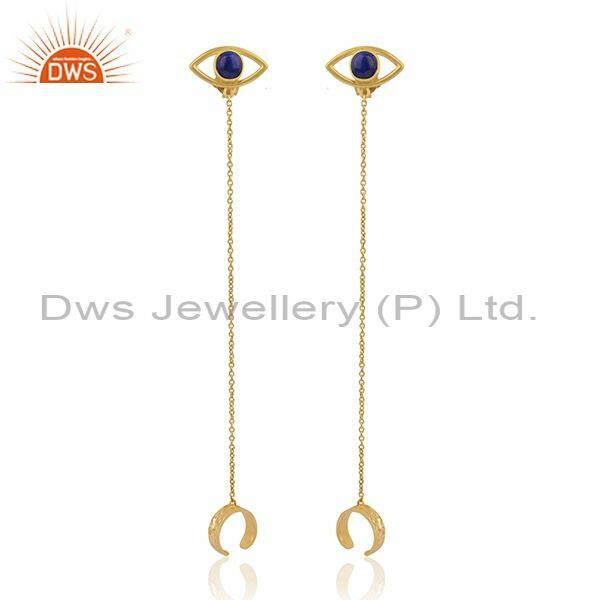 Wholesale ear cuff earrings jewelry store in jaipur is major ear cuff earrings jewelry exporter in India. • Indo western outfit: there are many type of outfit in the market but the latest trend is of wearing indo western outfit. 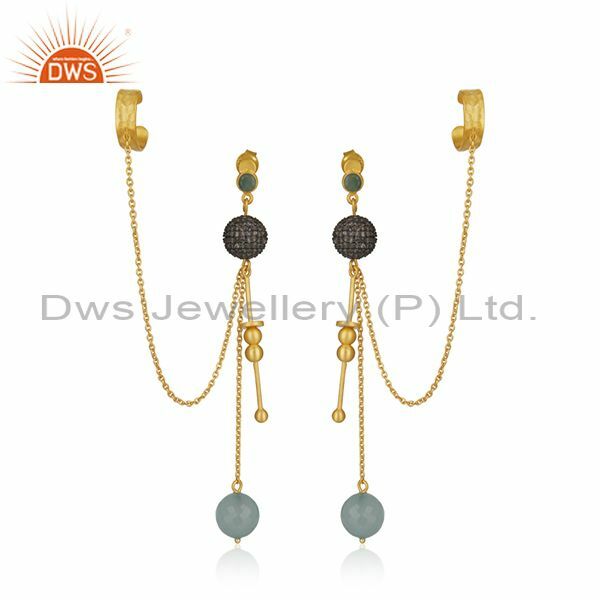 Indo western outfit can do wonders with ear cuff earring. If you are getting ready for some ones wedding and you thing that you don’t have much of outfit then try this trendy outfit. 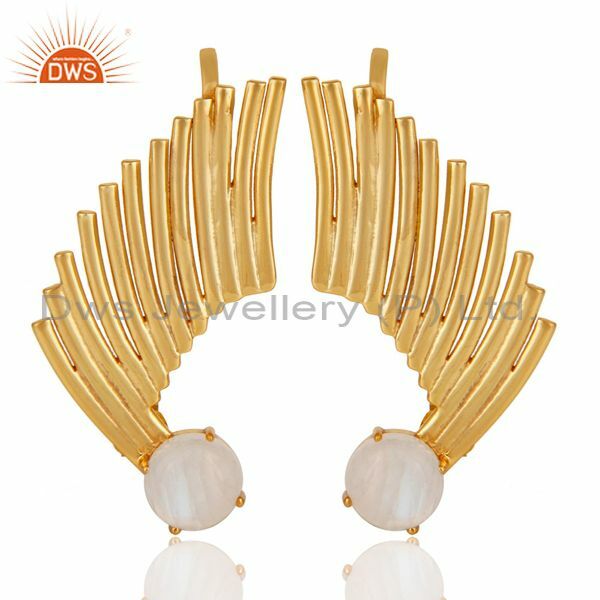 Wear a gorgeous long skirt and on top wear a designer salwar and a stunning ear cuff earring. This style will make you more beautiful and stunning. 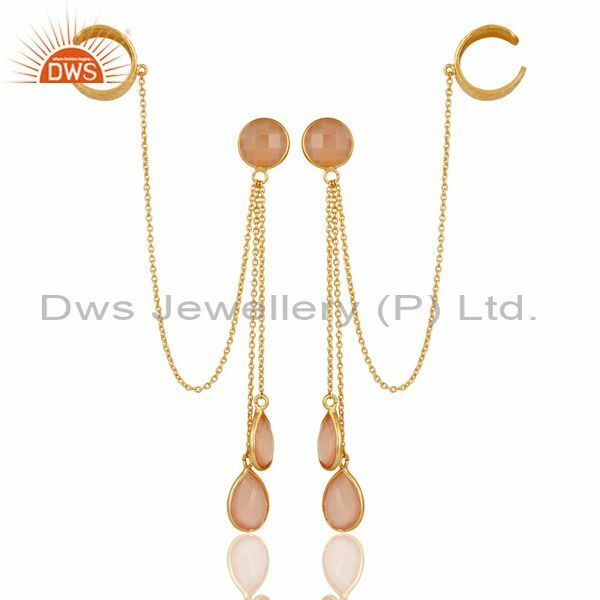 You will look attractive and outstanding with this combination. 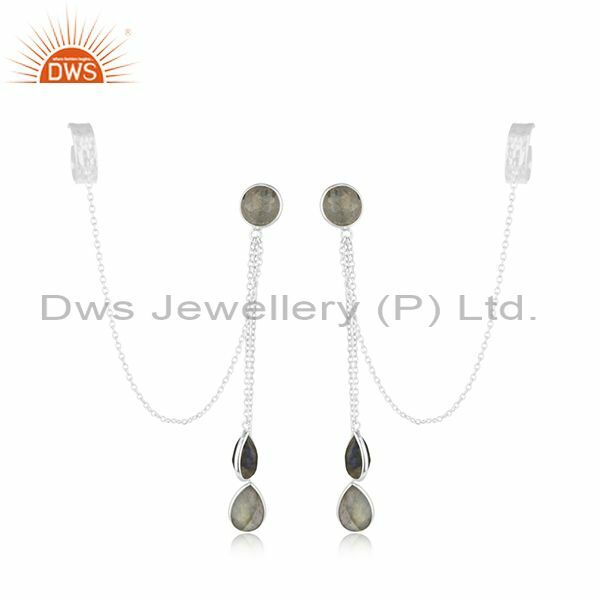 There are varieties of ear cuff earring jewelry available in the market, try to buy shiny stone ear cuff earring which will give you a perfect look on any function. • Western outfit: Girls look totally beautiful by wearing a cute top and jeans as bottom and pairing them with simple ear cuff earring. 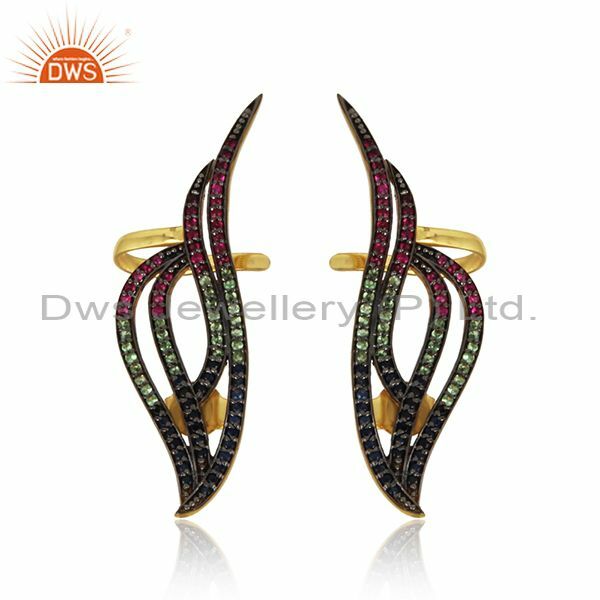 To select the best earring for western dress try to pick the best from the stock of colorful ear cuff earring. 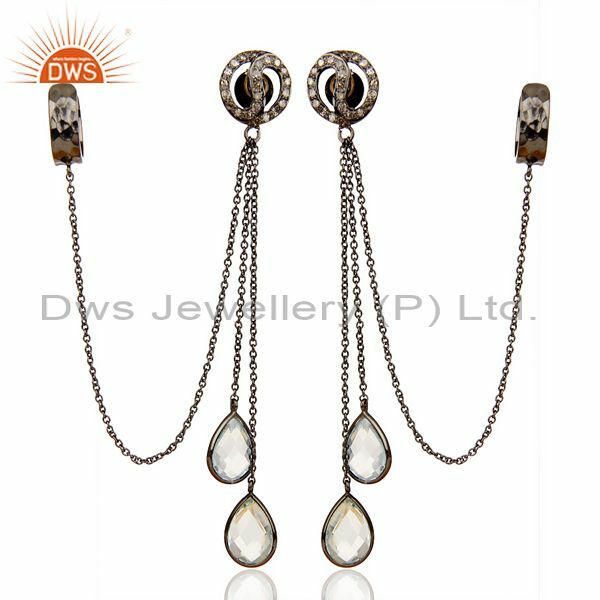 Don’t wear heavy ear cuff earring with the western dress as it will look too messes. 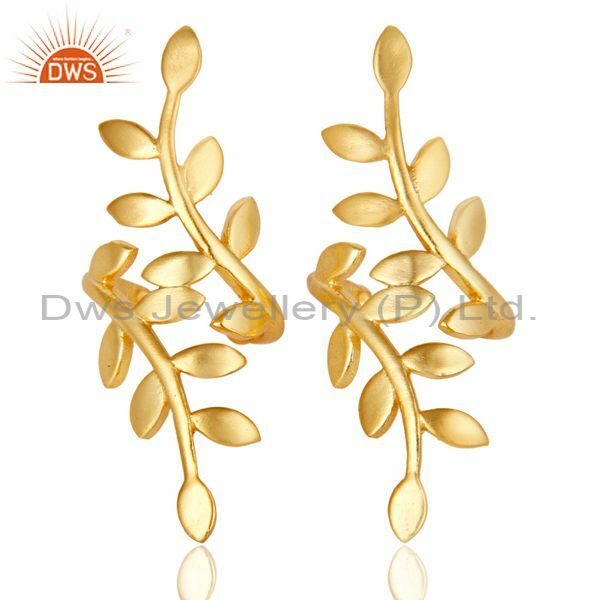 Ear cuff earring can do wonders with your dress. Always try to wear them on a suitable places or occasion. You can also wear them while going for a picnic. Women can carry their style very nicely but there is a thin line between looking classy and looking worst. 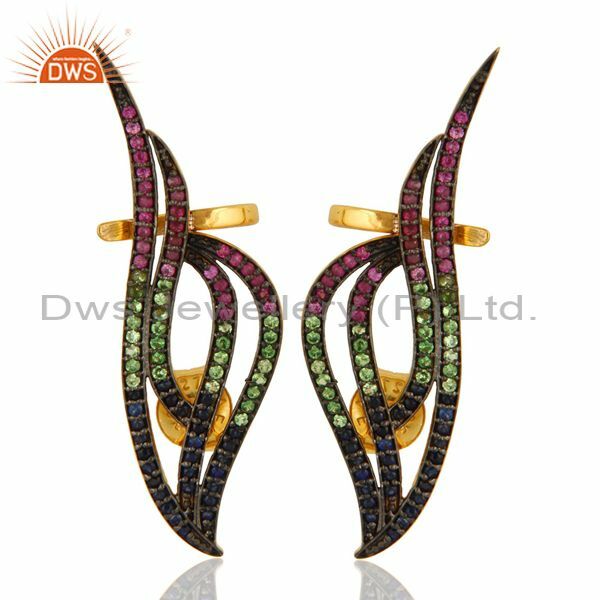 • Saree: ear cuff earring will look amazing with saree. 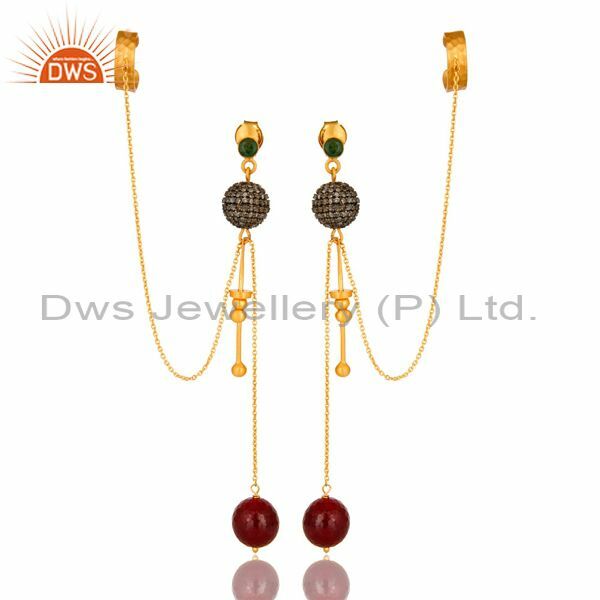 Try to choose a gorgeous saree and pair them with ear cuff earring. 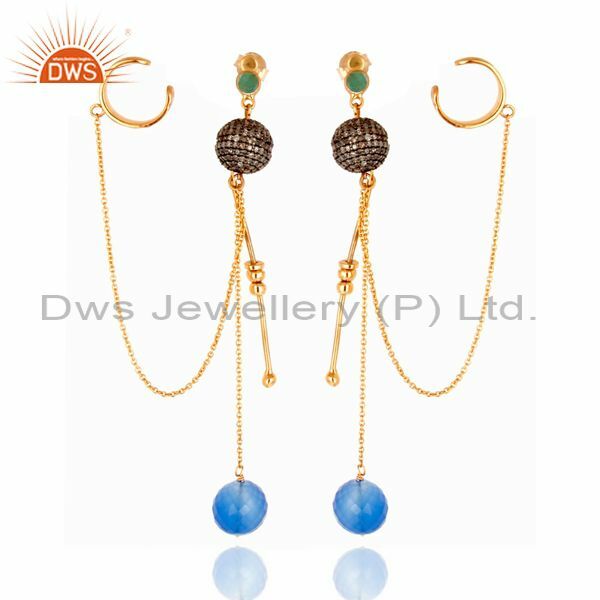 Ear cuff earring can usually match with every design of sarees. You just need to know the faction and carry them with confidence. 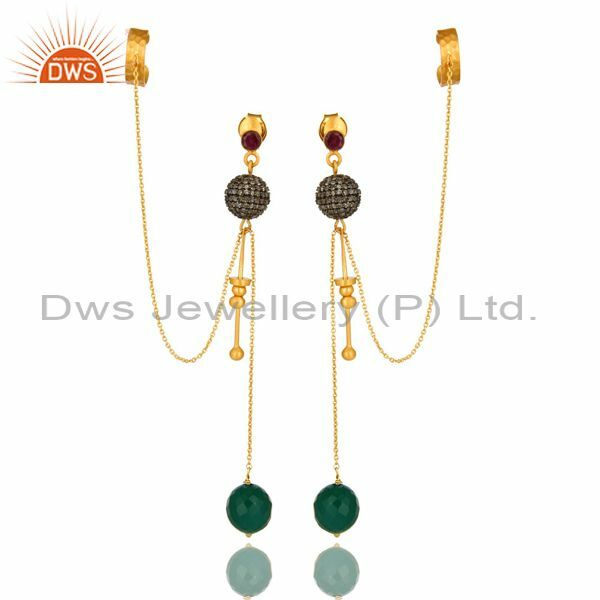 As saree is one of the beautiful outfits, ear cuff earring will do its work. 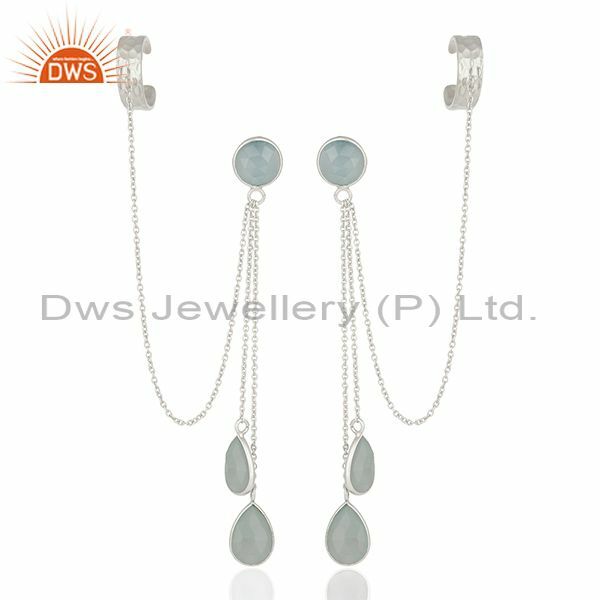 You can carry this style in any party be it casual or official. 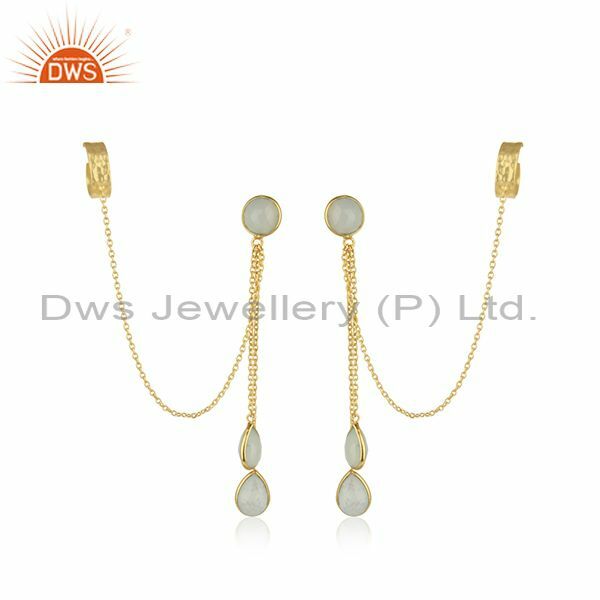 Try to wear shine stone ear cuff earring which will attract others attention towards you. 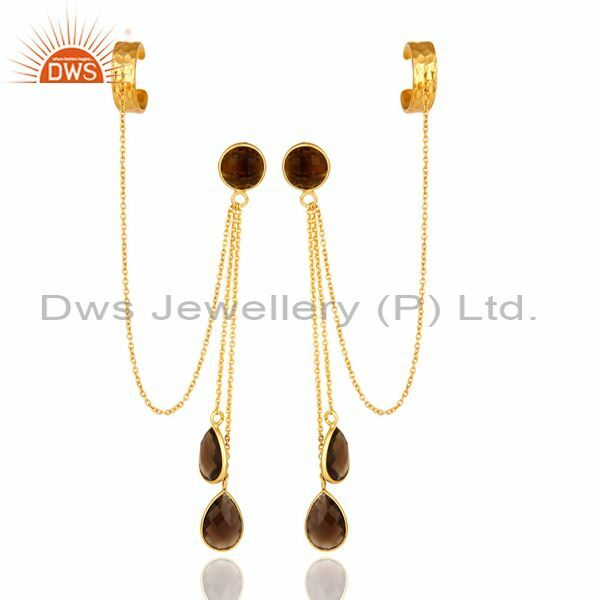 Wholesale ear cuff earrings jewelry shop in Jaipur come up one of the best varieties of earring from which you will get the design you want with your outfit.